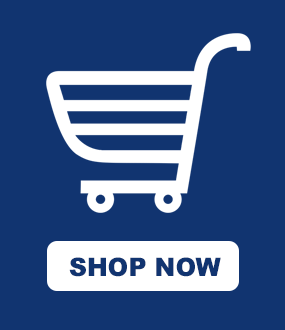 Successful payment via our online store is taken as the confirmation of your order and your acceptance of this How We Work guideline, acceptance of our Terms and Conditions and the product’s Warranty. Please read these carefully. Should you choose a Deliver and Cut option, this means you will measure your pool yourself and we will arrive with the correct size of material and cut this on site. 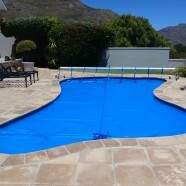 This option is used when your pool has complicated curves and you need a professional to cut the cover. As such, we can’t be held liable if your measurements prove to be incorrect and the cover does not fit. In this case, you are sure of your measurements and also sure that you can install your thermal cover yourself. We do not come out to measure your pool. We merely drop off the cover at the front door of your premises. For this option, we come out and measure, we design the pool cover for your site, we adjust the quotation up or down depending on the final measurements that we take ourselves, and then we will come back at a later stage to install the cover. The measurements are our responsibility, as is the final look and feel of the cover. If you are purchasing a Rollup Station, then we must handle the installation of both the thermal cover and the Rollup Station. In this case, after we receive payment and your preliminary/indicative measurements, we will contact you to arrange a site visit to confirm measurements ourselves. Deliver and Cut, and Collection – orders are completed within 7 working days from date of payment. Installation by ourselves – the turnaround time is about 10 working days, and in this time we do a site visit to take final measurements (within 3 working days of receiving your full payment), we confirm your final order; then manufacture which will take 3 working days and finally a further 3 to 4 working days to schedule and complete the installation. All solid safety covers and accessories must be installed by ourselves to ensure the cover is 100% safe. After we receive payment and your preliminary measurements, within 3 working days we will contact you to arrange a site visit to confirm measurements ourselves. After the site visit, your safety cover will take 3 to 4 working days to manufacture. When complete, it takes a further 3 working days to schedule and complete the installation, making it a total of about 10 working days. To avoid any delays in the installation process, we kindly request a prompt response when we get in touch to arrange site visits. Failure to keep appointments will delay the order process due to the queuing system we use for orders and installations. Please also be sure to use the same name, email and cellphone number throughout your dealings with us.